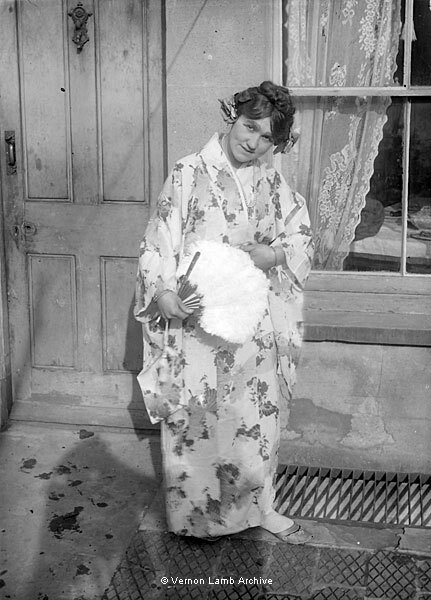 Description/Historical Information: Young woman with fan dressed in a kimono. The Operatic Society had performed The Mikado in 1908, and others sang extracts at a variety of venues pre-war. Perhaps this lady was dressed as Yum Yum in Mikado. She is also shown in VLA9759 and VLA9853.